Memphis, Tennessee is the largest city on the Mississippi River and is the home of the world-famous Memphis in May International Festival. Where as the Kansas City Que-Off was all about the beef, this BBQ Pitmasters Memphis Championship episode is going to be all about the pig… the pork… and all of its porky goodness. 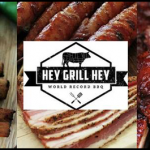 BBQ Pitmasters Memphis Championship – All About The Pig, Baby! In terms of meat selection this week – it’s all pork (spare ribs and butts) once again supplied by the good folks at Buedel Fine Meats and Provisions. Memphis Style BBQ brings a flavor profile that’s all about sweet, salty, heat. Not a scorched earth kind of heat, but a warm “this is goooood” sensation that is balanced nicely by the sweet and savory side of things. While you’ll get some sauce on barbecue in Memphis if you request it, the true nature of Memphis Barbecue – specifically where ribs are concerned – is a rib served “dry,” powered in medium to heavy fashion with a good quality Memphis Style BBQ Rub. As you know, I love videos. They tell a story or demonstrate a cooking process so much better than text and even text and still photos can. 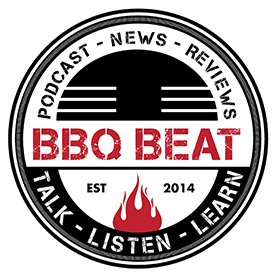 For demonstrating Memphis Dry Ribs, I’ve selected a video by two Canadian chefs who fell in love with Memphis style barbecue and opened up a restaurant in Vancouver, BC called the Memphis Blues Barbeque House. 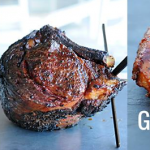 In this video, Chefs Park Heffelfinger and George Siu break down the basic flavors and ingredients of a Memphis Style Rub and demonstrate the application and cooking process. The second demonstration video on how to make Memphis style dry ribs comes to us from none other than the World Famous BBQ Pit Boys. 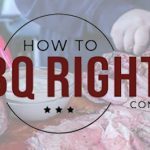 In true form, the BBQ Pit Boys take you all the way from the initial rib trimming to the final product – stressing the importance of going “Sauce Free” when prepping up some beautiful Dry Memphis Spare Ribs. Oh, you’ll note in each of these videos that the spare ribs prepared are cut down to St. Louis style, with the flap and tips removed. This is what you’ll see most often at competitions, which leaves the ribs nice and even for a good presentation. I want to cover just a few things you’ll want to make note of when you see this weekend’s BBQ Pitmasters Memphis Championship episode where flavors are concerned. From the flavor profile, you’ll notice a good amount of sweetness imparted to the ribs and pork butts via things like apple juice, brown sugar, and honey. This ain’t Carolina style BBQ, so the idea is to achieve a nice balance of sweet, salty heat. It’s important to note that the sweet side of Memphis BBQ ribs, especially with a dry rub preparation, is not at all like what you might get from Kansas City Style BBQ ribs — as there is no sauce at all involved with the Memphis style. NOTE: If you go to Rendezvous BBQ in Memphis, TN – they do mop their ribs in a vinegar based mopping sauce as they’re cooking and dip them in some just prior to putting on their signature dry rub. So, though AMAZINGLY flavorful, I’m not sure they fit into the scheme of what most people call straight dry ribs. What Are Phosphates and How Do They Enhance BBQ? One flavoring additive you’ll hear mentioned a few times are phosphates. When cooking larger cuts of meat like pork butts or briskets, phosphates help ensure your end product is moist and tender. They’re used in a variety of preparations made for pork, beef, etc. In some, there are added flavors that enhance the natural flavor of the protein you’re preparing. Popular brands of phosphates used widely by winning competition teams include products from Butcher BBQ and Kosmo’s Q. My friend in BBQ John Dawson wrote up a review of Kosmo’s Pork Injection a few year back and stated that he really thought it boosted the moisture content and flavor of the pork butts he smoked. 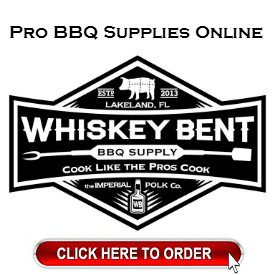 Kosmo’s also gets a ton of love from one of my best BBQ friends here in Imperial Polk County, Florida Chad Ward, with Whiskey Bent BBQ and — more recently — Whiskey Bent BBQ Supply, where folks learn to cook like the pros do. Whiskey Bent BBQ didn’t just set up a shop and slap a name on it that sounds cool. 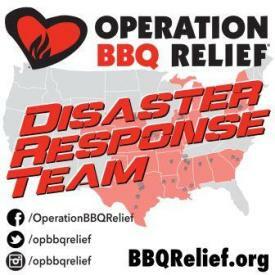 These guys are battle tested BBQ pros with a significant number of Grand Championships and walks under their belts from competitions across the country. When I asked Chad about using injections in his cooks and what kind he uses, his answers were “hell yeah” and “Kosmo’s Q” all the way. There you have it. 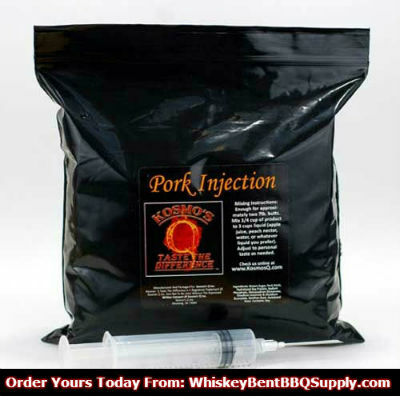 If you’re looking to give injections a try – be sure to head over to WhiskeyBentBBQSupply.com and order some up. 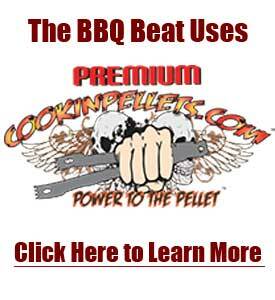 Let Chad know you got to them through The BBQ Beat! 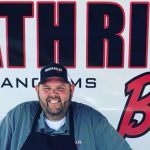 Next to the fact that BBQ Pitmasters is doing a great job of promoting regional BBQ flavors (Georgia, Texas, Kansas City, and now Memphis), I love that we get to know each of the teams a bit. Competition BBQ is all about the people first and foremost. Without these “characters” we don’t have Professional BBQ. Good folks, good food, good times. And that’s just how it is. OK. Time to look at these teams. 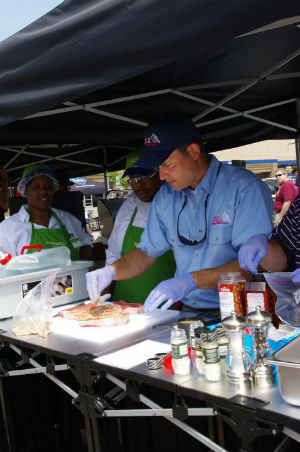 Though none come specifically from Memphis, each team is familiar with the style of BBQ Memphis is known for. 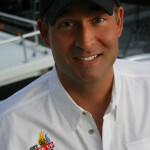 Michael McDearman is a BBQ and Grilling GrillMaster, author, competition BBQ cook and television personality. Recognized as ‘GrillMaster McD,’ he is one of the top GrillMasters in the country and coach of the three-time World Champion Steak Cooks. 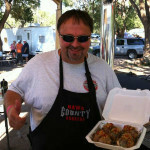 Often featured in the media, cookbooks and television shows, Michael is a teacher who loves spreading the good word on live fire cooking. 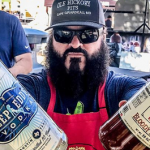 For this BBQ Pitmasters Memphis Championship challenge, Michael is out to prove that though he’s a relative newcomer to competition BBQ, he’s got the knowledge, skill, and BBQ chops to take it to the house. 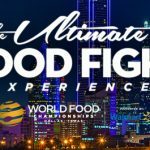 With 35 years of cooking experience, and thousands of people eating his food every week, Michael’s ready to show his stuff and claim that $50,000 final award prize. For this season, McDearman is cooking on a gravity fed box smoker made by Southern Bred Smokers out of Imperial Polk County, Florida. Hey, it’s my blog and I’m a Home Boy all the way – so these guys get special mention! There are currently 3 gravity fed, insulated cookers and 1 charcoal maze cooker in the product portfolio. The one you’ll see in Saturday’s episode is their mid-sized gravity fed smoker called The Grand Champion. All these cookers are hand-built and available 2 weeks from ordering. This manufacturing takes place in a 100,000 square foot facility with all the latest and greatest metal fabrication equipment in the world. 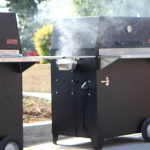 These aren’t a couple ol’ boys that hung a shingle and fired up the cutting torches, Southern Bred Smokers leverages over 30 years experience in the metal fabrication business to build smokers for cook teams that are designed by cook teams! 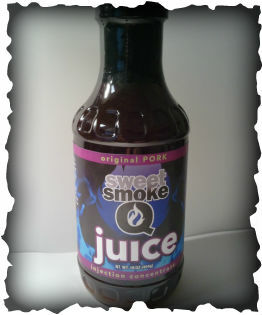 Check it out at SouthernBredSmokers.com. Speaking of special mention, I think you just might see a few cherry Bar-B-Qubes by Mojobricks in the mix for Michael’s cook. I can’t be absolutely certain, but look closely and you may see what I’m talking about. From a competition standpoint, the Charcoal Cowboys are always in the mix. 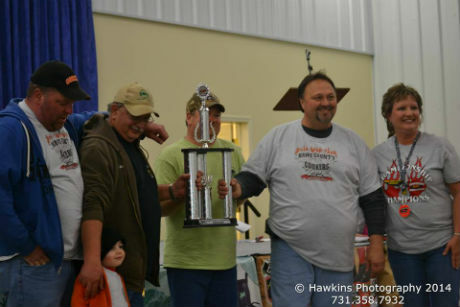 Grand Champion honors, and several 1st place brisket and other top 5 finishes, it’s clear that these guys can flat out cook! One special note is that they scored the ever elusive Perfect 180 Score in Brisket at the Music City BBQ Festival in Nashville, TN! 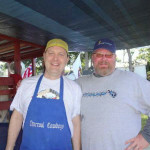 To see the Charcoal Cowboys audition video for BBQ Pitmasters, Ken Wood invites you to friend him on Facebook here. Then, you can check out his Photos area where the video of their audition is located. I promise you it’s pretty darned funny! So get over and send Ken that friend request! 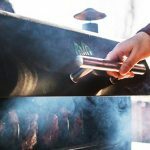 The Charcoal Cowboys cook on a Stump’s Vertical Smoker that they resurrected from a pretty bad state into a finely tuned and well-modified championship BBQ cooking machine. This vertical smoker’s name is, of course, The Lone Ranger — after the storied character of the Texas Ranger who, left for dead, is found and brought back to health by Tonto and later goes on to fight for law and order. How cool is that? 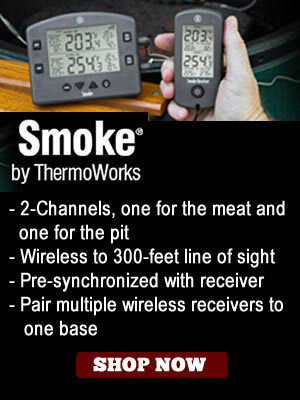 The other smoker they cook on is a Weber Smokey Mountain named Cheech. That’s one that takes little explanation. Hahaha. Wood wise these guys are smoking with a little bit of hickory and cherry in chunks fueled by some competition quality Kingsford charcoal. Chris Chadwick and the Hawg County Cookers bring a bit of fire and some sweet Tennessee heat to this week’s episode. 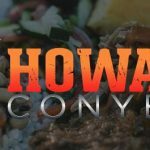 They’re all about being real and staying true to the Hawg County, Hawg Wild mantra that has served them well as competition cookers over the years. 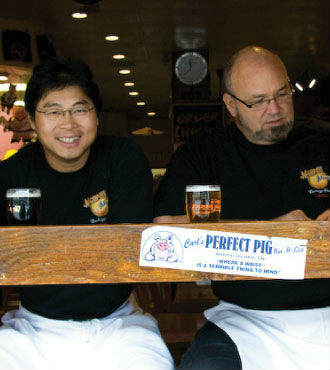 In his own words, Chadwick puts it like this: “BBQ is a way of life. It’s a sport, it’s a hobby, it’s a passion.” With 14 grand championships and tens of thousands of dollars in championship money, Hawg County Cookers will be in the zone full go come Saturday doing the one they do best: Lettin’ the Smoke Roll! 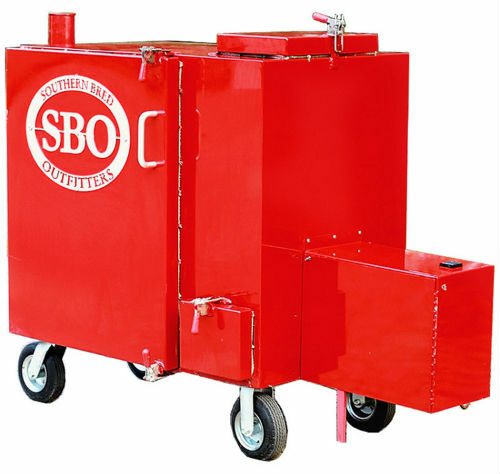 Standing alone among the competitors, Hawg County Cookers is the only team to bring a true old school offset stick burner as their main competition cooker to handle any big meats. They also rock a sweet Ugly Drum Smoker for their ribs, which you just gotta love. Smoke profile wise it’s hickory all the way. 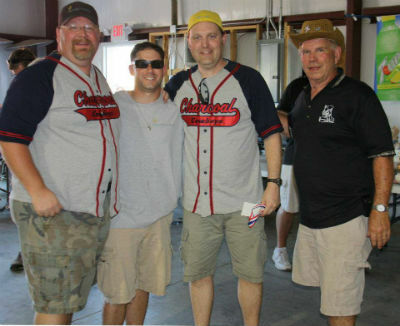 Again the regional aspects of BBQ shine through with this edition of BBQ Pitmasters. You’ll love the focus placed up front and center on dry ribs and tasty… tasty pork that packs some salt, some sweet, and a little heat. 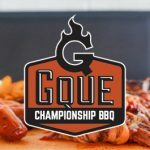 We’ve been to Georgia, Texas, Kansas City, and now come Saturday with the Memphis Championship – we’ve got another amazing regional BBQ flavor profile under our belts.